On & True: tired of having to choose your iphone over your child? tired of having to choose your iphone over your child? 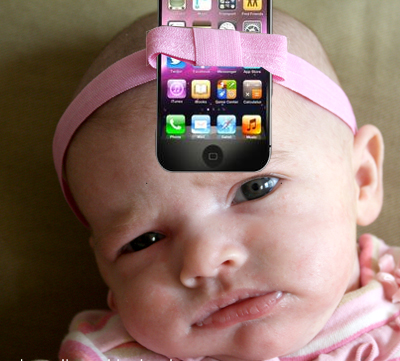 I see a lot of parents guiltily checking their iphone's while hanging with their babies. So: introducing the iNfant headband. Now you don't have to choose between twitter and making funny faces at your kids. The grass is no longer guiltier.